Quick geography lesson. You know Mendoza? Officially, it’s a desert. But, thanks to the fact that the region receives an abundance of water from Andes snowmelt, canny agronomists grow vines – and grow them spectacularly well – in this barren land. Cafayate in the province of Salta is also dry, climate wise. But even though it’s positioned 1,700 metres above sea level, it also has an abundance of water (the very name Cafayate means ‘water box’ in Quechua) from underground springs. As for the point of this geo class? A dry climate means grapes don’t attract the F word – fungi – so grapes rarely rot, evil ‘powdery mildew’ is never mentioned in the same breath as ‘successful harvest’ and there’s little need to use fungicides (or any -cides for that matter). The word is this: It’s relatively pain free to produce organic vino in Argentina. The fact is there’s more Argentine O wine – helped along by natural goodies like goat pooh and tea tree oil – kicking about than you imagined. Several private, international organizations classify wine (and food products) as organic in Argentina. SENASA food agency undertakes the same mission for the government, and it’s easier than you think. Mike Barrow, owner of Costaflores Finca Orgánica in Perdriel, Mendoza, explains. “Being organic means I can’t use pesticides, herbicides, fungicides or insecticides, and I can only take preventative measures. For example, I can use pheromones to distract insects, or copper and sulfur mixtures as well as tea tree oil to prevent fungus but I can’t use a herbicide to get kill off weeds. Synthetic fertilizers are also a no no – it has to come from a natural source of nitrogen such as cow or goat manure. “I planted my vines in 2003 and 2004 and I‘ve never used herbicides or anything so my vineyard has been organic from from day one. It takes two or three years to get certified and I receive twice yearly inspections from the Organización Internacional Agropecuaria (OIA). 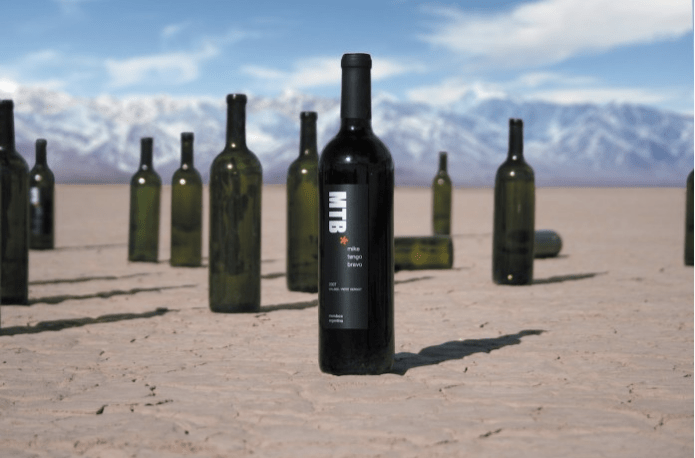 Mike produces two wines: Mike Tango Bravo MTB Torrontés 2013 and Mike Tango Bravo MTB 2012, a red blend made from Malbec, Petit Verdot and Cabernet Sauvignon (both AR$ 120 from Kalimnos). Given that he’s an avid spice fan, both have been created to pair with dishes that would make the Scoville Index skyrocket. For the rest of this, please visit The Bubble.